The EMPURON Monitoring provides a complete feature set for the operation of renewable energy plants. The open data-warehouse solution enables scalable computing power and fail-safe function. All components are completely web based and operating system independent. EMPURON SUPERVISE is able to monitor installations of all sizes. Modularity and parameterization tools offer many opportunities to adapt the transfer of facility information to the requirements. So, individual applications can be set up, which also provide the flexibility which is necessary for information analysis at different plants with their characteristics. 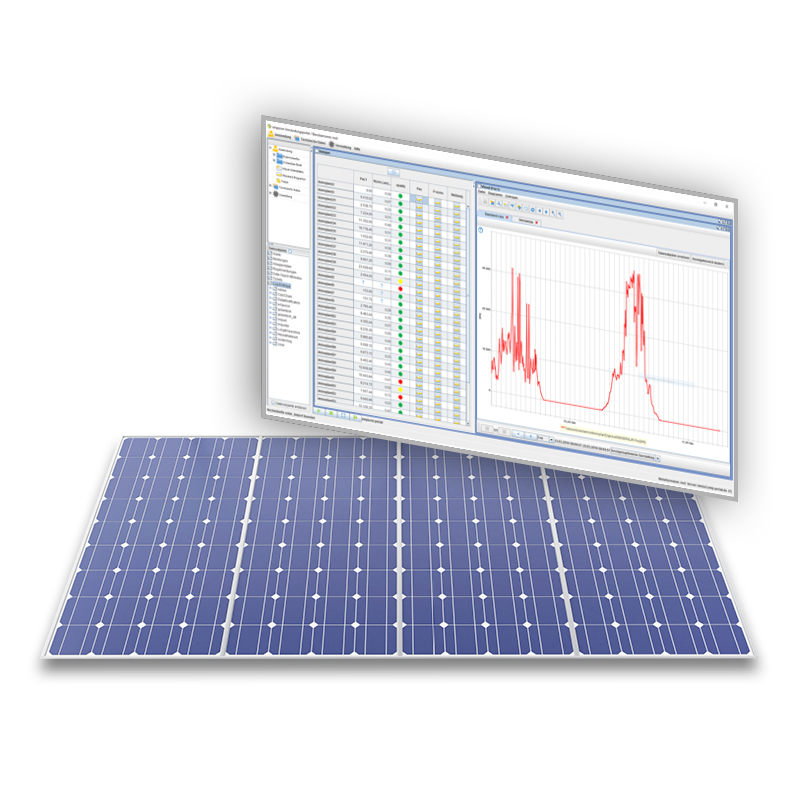 The Photovoltaic Monitoring and SCADA provided will support any activity that necessary for plant managament. The scalable EMPURON architecture enables the management of arbitrary system sizes. Central datastorage is the EMPURON Process Data Warehouse. Artificial intelligence and mathematical analysis functions provide fast processing of information transferred from the plants. Existing installations or new plants can be monitored and operated manufacturer independent - independent of the inverter or module type. EMPURON SUPERVISE PV ensures the required presentation of all production data and draws a complete picture of the system status and work processes. 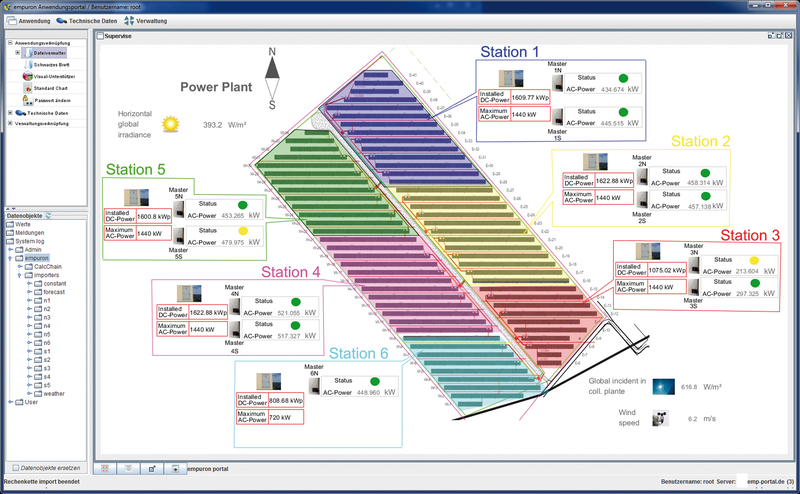 Accessing on information of wind mills at different locations from each workstation – with EMPURON VISUAL an independent visualization and analysis of messages is possible. 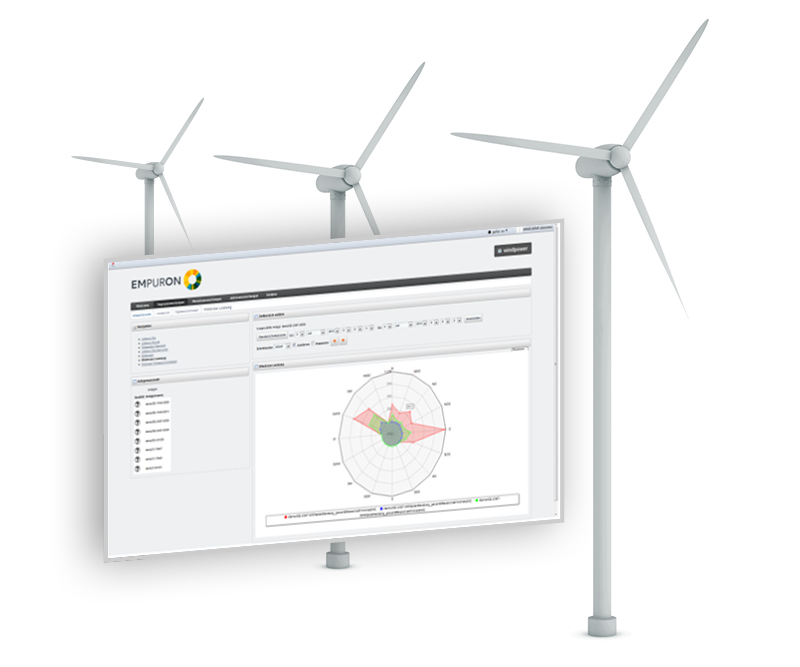 Presentation and reporting for values and actual conditions of all wind turbines and plant relevant data can be performed using the Internet/Intranet at any PC or mobile device. A clearly arrangend, diagram based presentation of information enables quick evaluation of various data constellations. Data security and protection are guaranteed by professional security mechanisms. Various possibilities for data exchange as well as a multi-format reporting engine provide easy access to data and external processing. 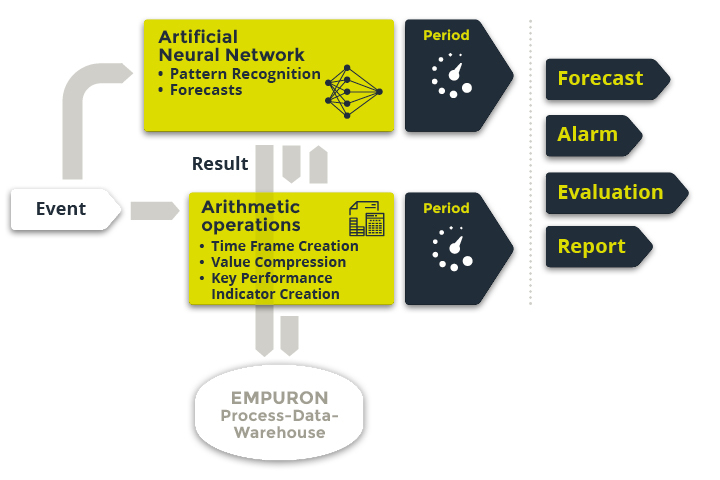 Using the module PA (predictive analysis), EMPURON enables a forward-looking analysis method. Predictions are calculated based on system behavior for variable forecast ranges. Due to its self-adaptive features, the system predictions are realized with associative, artificial intelligence. For that different, freely selectable time series are used, which are supplied to the forecasting system. Operators of power generation facilities or the network operation are thus able to predict the consumption or supply of electric power for the respective energy system. For the predictions data from weather stations and weather forecasts, Metering values and SCADA data can be combined freely. The EMPURON SCADA Server for Renewable Energy Plants is an on-site server component, which can be used either as a "stand-alone server", or in a distributed, redundant "hot standby" server cluster. Information is provided on the system control desks in real time. Using standard interfaces and standard protocols ist is target of the EMPURON SCADA Server to ensure high availability and performance of large installations. With the communication interfaces used a seamless integration into the infrastructure of an energy utility is assured.